Rick Mofina is a popular American author of crime fiction and suspense thrillers who started his writing career in earnest in 2000 with the book If Angels Fall. This is the very book I have learned about the author from as well, which got me to read everything else he has written ever since. Here are the Rick Mofina books in order for his several crime mystery series. Rick Mofina (website) grew up in Belleville, Ontario, in Canada, in a working-class family. Before writing novels, he wrote several short stories while he was in grade school, with the first one being sold at the young age of 15. As a child, Rick Mofina was encouraged by his mother to write stories. She even bought him his first typewriter, a portable manual Royal. As a teenager, he had a chance to hitchhike to California, which sparked his first novel about his experience, which he wrote at the age of 18, a book he never published. Before attending university, Rick Mofina held various menial jobs, which included working at a horseracing track and delivering cars to California. At the Carleton University, he studied American Detective fiction, English Literature and journalism. During summer he spent his time as a rookie reporter at the Toronto Star (the very same paper where also Hemingway worked at some point), which propelled his way to becoming a journalist at Calgary Herald, Southern newswire service and The Ottawa Citizen, among others. During his job as a journalist, he came across – and fact to face – with twisted serial killers on death row, having to cover crimes in California, Alberta and Las Vegas. All this experience shaped what he would become later, one of the most prominent crime mystery and thriller authors of our century. 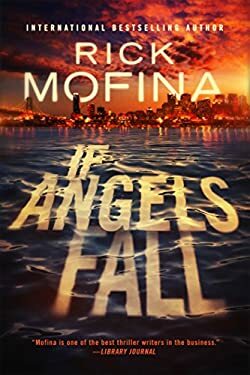 If Angels Fall is the first Rick Mofina novel, which I have read several years ago. It left such a strong impression on me, that I soon found myself seeking out everything else he has written since then. Currently, the author has 4 series under his belt, several standalone novels, and many short stories. The Rick Mofina books have been printed over 2 million times in over two dozen countries. His latest book is Last Seen, published early 2018, a standalone thriller novel. He is a member of many book club associations and is a constantly featured panelist at the various mystery conferences in the US and Canada. His books have won and have been shortlisted for several prestigious awards. 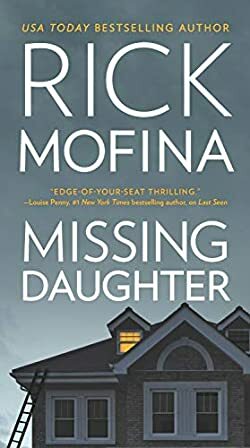 One of my favorite Rick Mofina books in (my favorite so far is part of the Kate Page series, Free Fall, published in 2016. The series includes four books so far. In an interview, the author Rick Mofina mentioned that he drew the inspiration for Kate’s character from several female reporters he came across during his investigative work, along with inspiration from women in other jobs, along with moms. In Missing Daughter, published 2019, the lives of Ryan and Karen Lane changes dramatically when they discover one morning that their daughter’s room window is open and the girl is missing from the house. The police investigation reveals several damning facts, and now suddenly everyone is a suspect in Maddie’s disappearance. However, there is no sign of Maddie, and the couple fears that they have lost their child for good. Before writing the books, Rick Mofina does a lot of research for his material. For example, for Free Fall, he researched the field of avionics along with reading several FBI reports focusing on plane crashes in several countries. He even talked to a previous NTSB accident investigator. Being for a long time a reporter in his daily work, Rick Mofina found it easy to do this investigative work. That’s why, Free Fall is tangentially also a techno-thriller, touching on highly technical elements in the book, while also maintaining the crime mystery element as well. He also drew from his rookie reporting work at the Toronto Star when he first created the Rick Mofina Jason Wade trilogy. In The Dying Hour, Jason Wade is a rookie reporter chasing his first big story, just like the author was back in the day at The Toronto Star during his summer working at that newspaper. At the moment, Rick Mofina no longer works as a reporter, but still has a full-time day job in another arena of communications. Yet, he still finds time to write a book every year, much to the delight of his fans. He currently lives in Ottawa, Canada.